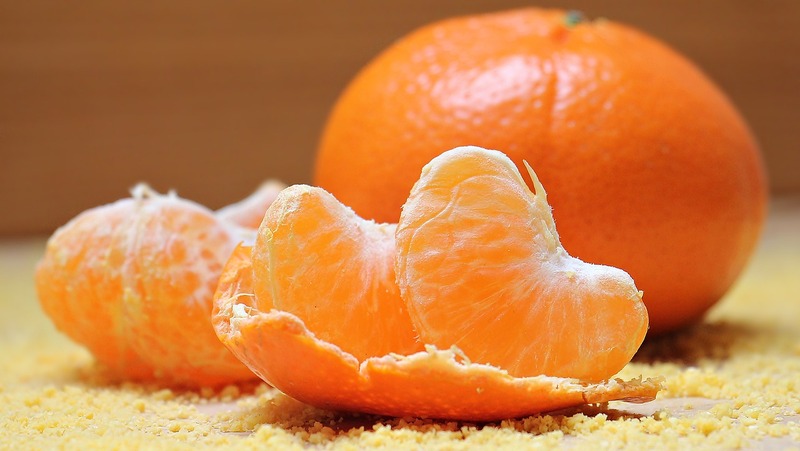 The annual Warrenton Lions Club Citrus Fruit Sale was concluded successfully at the end of November, 2018. Thank you to all our supporters. 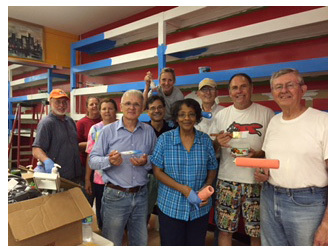 On July 9, 2016 the Warrenton Lions completed a service project at the Boys and Girls Club of Fauquier building on Keith Street in Warrenton. Two of our members serve as volunteers at the Club and they asked Lynne Richmond Bell Executive Director of the Boys and Girls Club if our club could help with maintenance of their facility. She identified some areas that needed painting. As a result, we cleaned and painted a hallway and primed and painted a large set of storage shelves. Lynne stopped by and thanked us for our help. The International Association of Lions Clubs was founded in 1917 by Melvin Jones. Lions Club International now includes clubs in 210 countries with a membership of over 1.4 million men and women serving throughout the world. This is Lions Centennial Year and we have designated this effort as a Lions Centennial Project. President Patty Gore led the project and was joined by Lions Craig Andrews, Doug Campbell, Carol Childs, Jan and Geraldine Cornelius, Donna Marie Hawkins, Jon Holmes, Greg Roeper, and Jerry Rosenfeld. We hope to continue to partner with the Boys and Girls Club during the year. Originally chartered as the Lions Club of Warrenton on October 30, 1939, the Warrenton Lions Club held its first meeting at the Centre District High School on December 15th with 26 members. In December of 1989, the Club's character changed just a little as women were accepted into membership for the first time. We now have many couples enjoying working together in service. Our Club is appreciative of the community and business support that has always been strong. Some current fund raising activities include program and pin sales at the Gold Cup Races, annual fruit sales and sales of White House Christmas ornaments, support staff for events at Great Meadows Foundation activities, and of course broom sales at the Warrenton Spring Festival and the Home and Garden Show. All Lions donate their time, so every penny raised from the community goes back into the community. 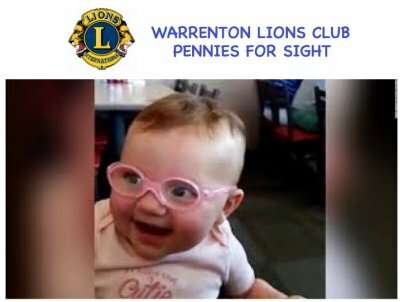 The Warrenton Lions Club has placed "Pennies For Sight" collection jars at several retail stores in the Warrenton area. The money collected from these sites will be used to purchase a Spot™ Vision Screener which can screen for and detect six amblyopic risk factors in children as young as 6 months. If you see one of our collection jars while you are out shopping please consider donating some of your change! The Lions motto is ‘We Serve’ and the Warrenton Lions Club strives to fulfill that charge in several different ways. We have members who serve on the Lions Sight and Hearing Van, we provide glasses, hearing aids and eye exams to members of the community in need, we provide scholarships to student of local high schools, and aid various local and international activities and raise funds to support them. During the past Lion’s year (July 2017-June 2018) we visited 22 public schools and provided vision and hearing screenings for 3,102 students resulting in 330 vision and 239 hearing referrals in cooperation with Warrenton Sunrise in Lions Club. We tested vision of 12 head start students at 2 public schools. We also used the Sight and Hearing van at 2 community screening events and tested 45 individuals. Providing glasses to individuals referred to us by Social Services or school nurses is another priority for our club. We approved eye glasses for 19 individuals and provided or helped pay for eye exams for eight of those individuals and also helped three individual get a hearing aids. In addition, we collected 2,777 pairs of used eye glasses for recycling and use by those in need. Our club provided a $1,000 dollar scholarship to Tamira Carrier from Fauquier High School and another to Jacob Kransy from Kettle Run High School. The Membership Committee was busy this year helping us gain five new members. The following new members were recruited: Joe Dove and Joe Yednock. Mark, Mary Anna and Bryan Carter joined us by transferred from clubs in Pennsylvania. We unfortunately lost long time member Neil Hicks. A new service activity was started and two members volunteered at the Fauquier Boys and Girls Club. Our club had two main social events for the members. The Christmas party was the largest and in the spring the club held a picnic at Northern Fauquier Community Park. In addition, the Social Committee was involved in providing refreshments for special meetings throughout the year. All the money Lions collect from the public via various fund raisers goes back to the public. During this Lions year we donated $55 to the Bland Music Contest, $ 500 to the Fauquier Free Clinic, $ 500 to Hearing & Research Foundation, $ 300 to Hospice of Fauquier County, $ 100 to Leader Dogs for the Blind, $ 1100 to Lions International, $ 250 to Lions Eye Institute, $ 250 to Lions Northern VA Youth Camp, $ 250 to Old Dominion Eye Foundation, $600 to Sight & Hearing Van, $ 100 to VA Eyeglass Recycling Center, $ 150 Fauquier Food Bank, $100 Fauquier Prom night, $ 100 Mt Zion Baptist Church Bible School, $ 100 Japan/Ecuador Earthquake, $250 Sight and Hearing Equipment, $ 150 Thanksgiving dinners, $ 50 Northern VA Walk $ 250 School Supplies for RAM and Club members donated $550 to the Sight and Hearing Equipment Fund in memory of Neil Hicks. In addition, we spent $355 for Eye exams, $ 884 for eye glasses and $ 375 for three hearing aids. Our club started two new fund raising activities during the year. In the fall we sold apples and apple butter. The apple butter sales did particularly well and continued into the spring. Later in the year we started a Pennies for Sight Campaign based on the effort by a Lions Club written up in the Lion Magazine. We placed collection tubes a several local businesses and accompanied them with a write-up in a local paper. This effort was designed to help our club purchase vision testing equipment and collected $2,292.94 during the year. Funds for our services and donations came from the profits we made from the following sources: Citrus Fruit sales of $2,116.85, program and pin sales at two Gold Cup Races of $ 3,321, Christmas Ornament sales of $ 3276 and Apple and apple butter sales of $1,166.95.